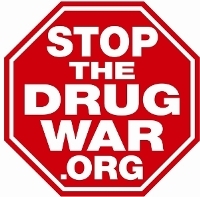 People continue to die in the drug war at a rate of more than one a week so far this year. Getting caught with even a little bit of marijuana could send a parolee back to prison. This was one parolee was wasn't ready to go back. We have a Philadelphia twofer this week, an Indiana cop who killed himself after getting busted stealing pain pills, an Oklahoma K9 cop popped for stealing dope, another jail guard in trouble, and more. It's the dog days of summer, and it looks like not much is going on except marijuana-related issues. Will ResponsibleOhio make the ballot, will the Justice Department ease up on medical marijuana where it's legal? Stay tuned.